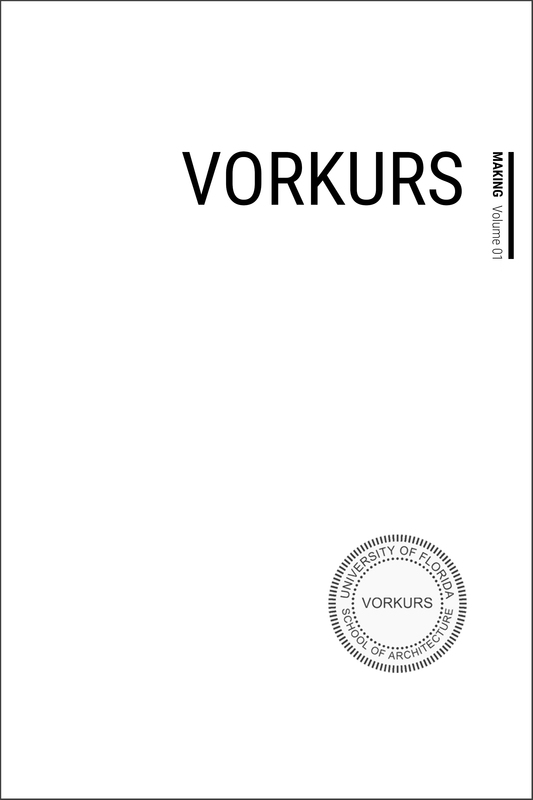 The essay “Oculata Manus” was included in the inaugural edition of the Journal Vorkurs, edited by Zachary Wignall and Elizabeth Cronin. The essay probes pedagogies based in materiality and making, with particular reference to a new curricular structure introduced in Graduate Program at the University of Florida School of Architecture. Walters, Bradley and Lisa Huang. 2017. “Oculata Manus.” In Vorkurs: Making, Volume 1, Number 1, 2017, edited by Zachary Wignall and Elizabeth Cronin, 36-47. Gainesville FL: University of Florida.